Back in the days of dial-up Internet I dabbled in Ragnarok Online, a Massively Multiplayer Online RPG set in a strange world that was trying its hardest to mix Norse Mythology with anime. 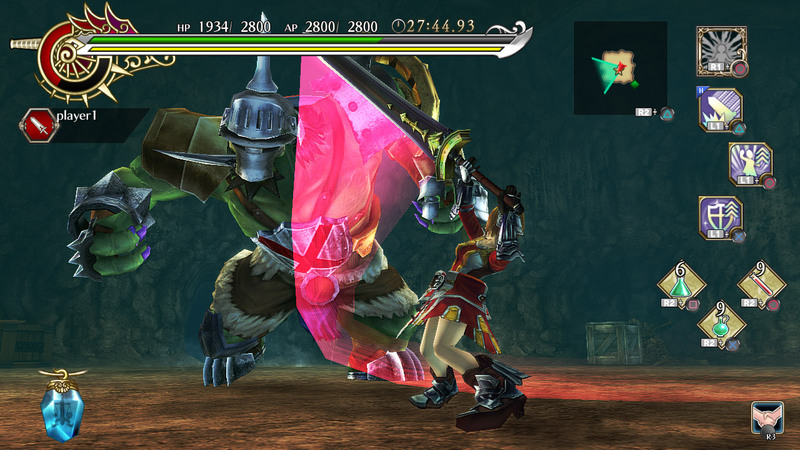 Despite coming out over 10 years ago, the Ragnarok franchise stays alive with Ragnarok Odyssey. Released about a year and a half ago exclusively for the Playstation Vita, Ragnarok Odyssey received mixed reviews and it looked like Game Arts wanted a redo. That is how Ragnarok Odyssey: ACE was born. Since I don’t own a PS Vita, I played ACE with no prior Ragnarok Odyssey experience. The first thing I noticed is how similar it is to Monster Hunter. 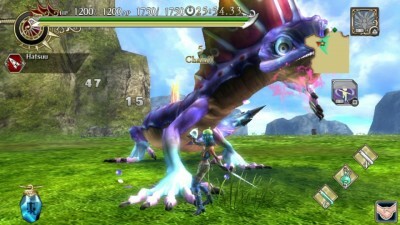 The point of the game is to eliminate large monsters in order to obtain items to craft better equipment. Like Monster Hunter, if you go in guns blazing you will die, so you will have to learn the monsters’ attacks and patterns. The only difference is that the characters move and attack faster, so I suppose it’s a mix of Monster Hunter and Dynasty Warriors. Like most other games in this genre, ACE has a story that quickly fades into the background. Giants are destroying everything and it’s up to you, the rookie, to stop them. The story is told through walls of text by generic non-moving NPCs in the hub world, so my interest in the story was almost nonexistent. You start the game by creating a character, and there are a surprising amount of customization options. More importantly, there is a class for just about every play style. You can choose between sword warrior, hammersmith, assassin, mage, cleric and hunter. Each has their advantages and disadvantages, and the only one I found overly difficult was hunter simply because of the mediocre targeting system that didn’t always work in my favor. The best part is if you don’t particularly like a certain class you have the freedom to try another one at any time and find that sweet spot. Combat started off a little shaky, but once I got used to it I was unleashing long combo strings with ease. You have your standard light and heavy attack buttons as well as your special attacks which drain stamina and have a cooldown time. Like Monster Hunter, if you run out of stamina by jumping or sprinting in excess you will find yourself fairly helpless while you wait for it to recharge. This is a welcome mechanic that keeps you on your toes during the tougher fights. After a brief warm-up of fighting creatures that barely fight back, you’re thrown into the big boy fights. This is what you are playing the game for, and bringing down a giant bird, wolf, or what-have-you is a rewarding experience. Unfortunately as you get farther and farther into the game you will see the same big bosses pop up repeatedly, and just when you think there’s going to be a new monster it’s the same thing with a palette swap and slightly different moves. This was disappointing, and it really doesn’t help when you have to go back and grind those bosses for even more for items. Instead of leveling by defeating monsters, ACE has a system where you utilize items found on missions to beef up your equipment. The weapon upgrades are pretty straightforward. All you do is collect the necessary items, or complete a certain objective, and pay the blacksmith to make your weapon of choice stronger. The card system is where things get interesting. Your armor has a certain amount of slots for cards. These cards have various strengths and weaknesses and it’s up to you to find that perfect set. Cards are either dropped by monsters or sold at the store and they are a fun and unique way to tackle the leveling system. The main selling points of ACE are the online play and the extra content. I hopped on a few games with some Vita players (which is pretty awesome since I played on the PS3) and noticed a little bit of lag every now and then, but nothing that made the game unplayable. If you can’t or don’t want to go online you have the option to hire mercenaries in the single player campaign. While the AI isn’t the brightest, they do distract enemies and give you some breathing room. In addition to the tweaks from Ragnarok Odyssey, ACE introduces the Yggdrasil Tower. This 400 level tower is all randomly generated and adds hours onto the game. However, if you just played through the main story odds are you aren’t going to want to keep fighting the same enemies for 400 floors. At least not right away. Since ACE comes from a game made for a handheld, it’s not going to be the best looking thing on the PS3. The characters are very static and communicate all of their emotions through thought bubbles and emoticons above their heads. The environments are overall very pretty, but when you visit the mountain for the 20th time you’ll get a little bored with it. My main beef is with the weapons and items. Some of the weapons look like something I would have drawn in my middle school sketch book, and I was disappointed in the lack of variety. As far as items go most of the icons that are used to represent an item are relevant to that item. For example, the animal parts had a little bear skin icon and the herbs had a grass icon. However, some items just had a circle with a question mark in it and that just screams laziness. The soundtrack is a funny thing in ACE. You have the freedom to change the music for each mission from songs you have purchased at the item store with your in-game gold. There are some great songs in this game, but I was constantly spending money on upgrades so I didn’t get to hear a lot of it. The main hub theme might be stuck in my head until the end of days, but I will give them props for not charging real world money for additional music. 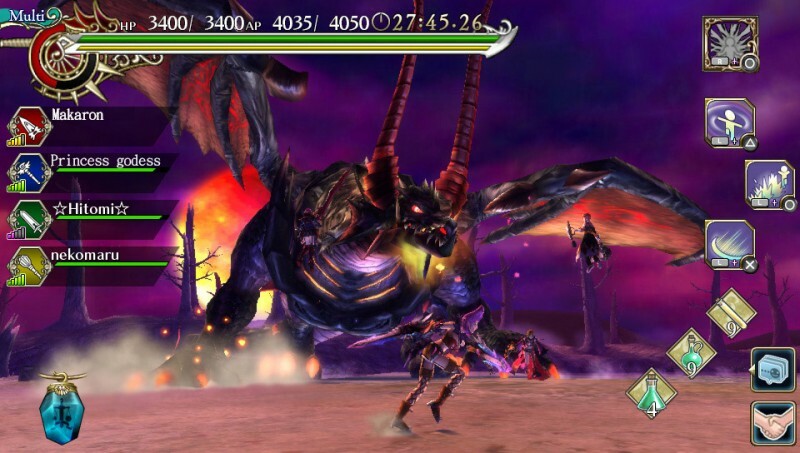 Ultimately Ragnarok Odyssey: ACE ends up being a very mediocre title due to a very bare bones story and a complete lack of variety when it comes to big monsters. The combat is fun and engaging, and playing the different classes helps keep things fresh. However, you can only fight the same giant wolf and giant bird so many times before you get tired of it.